The Hubble Space Telescope recently hit 25 years in space. It orbits at ~550 km altitude (limited by the altitude the shuttle could reach to service it) and has sustained minor/trivial exterior damage from debris strikes (see image below). I know that the main mirror is down the tube from the opening that lets light in, but as I understand it there's nothing inside to protect it from debris that enters directly on the axis of the telescope. What strategies were used in the design and operation to minimize damage to the Hubble main mirror such that it's still able to perform after 25 years in orbit? This image shows the radiator section (rear end) of the Wide Field Planetary Camera II (WFPC2), installed on the Hubble Space Telescope. During the various Hubble servicing missions, astronauts noticed tiny dimples and dents in the radiator – the result of space debris. After more than15 years of exposure to space, this surface became a record of the accumulation of such debris in low Earth orbit. Naturally, NASA wanted to evaluate the amount and nature of this debris, and so after the camera was returned to Earth the impact sites were analyzed. The largest core samples left holes about 30 mm in diameter, but the debris particles were less than a mm in size. Unlike the WFPC2 the main mirror is not serviceable on-orbit so it's been up there exposed to space for the entire 25 years (or at least all the time the telescope is actually observing/has the lens cap open). 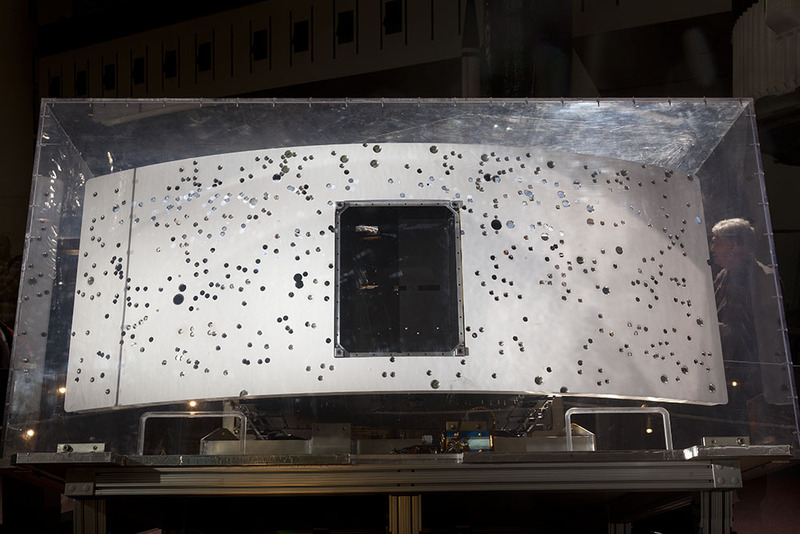 Maybe I overestimate the amount of debris in orbit (my professional introduction to stuff in LEO was in the context of building/improving a system to track space debris), but I would think by now there would have been enough (un)lucky debris strikes to have meaningfully damaged the mirror. There was a design requirement (PDF, page 30) for a "probability of no penetration" of 95% for 2 years. The Space Debris Handbook (PDF, page 137) indicates the main risk was considered to be a light leak in the aft shroud. I haven't been able to find any specifics on construction details that ensure this. Specifically, I haven't found any mention of Whipple shielding (which seems to be the default method). The outer layer of insulation on most of the HST is MLI (PDF, page 17). The aft shroud has a rigid metallic outer layer, but I haven't been able to confirm if this has any shielding function. Not the answer you're looking for? Browse other questions tagged low-earth-orbit debris hubble protection meteoroid or ask your own question. Do we have a photo of a micrometeorite impact on a lens? How do satellites remain safe from space debris and meteorites?